John has just spent an exhausting few days preparing and setting up his sculptures for the forthcoming exhibition at Doddington Hall in Lincolnshire. Saturday August 2nd to Sunday September 7th. John’s latest work, inspired by the images from the Hubble Space Telescope, will be completely at home in the spectacular surroundings of Doddington Hall and this will present the perfect opportunity for the people of Lincolnshire to preview his latest work. 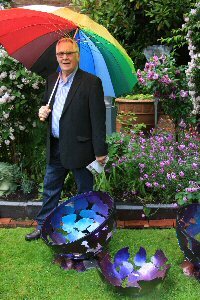 During May and June, John was exhibiting his new work at Greyfriars House & Garden, a National Trust property in Worcester. 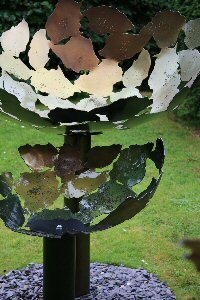 The historic house and walled garden was a perfect setting not just for John’s work but also the eclectic mix of sculptures from other exhibitors.